New York City is fiercely protective of its native artistic ventures, and Mayor Bill di Blasio's pledge to increase the fashion industry's Made in New York grant by $10 million initially seemed in favor of that initiative. However, as any politically-informed city dweller knows, there is a vast chasm between promising change and actually executing it. Despite the mayor's grand claims, Fashionista reports that few positive changes have actually been enacted — as of yet. Regardless of the $15 million in funds waiting to be implemented, the fashion industry may simply have to wait for the miraculous changes expected from the budget increase. 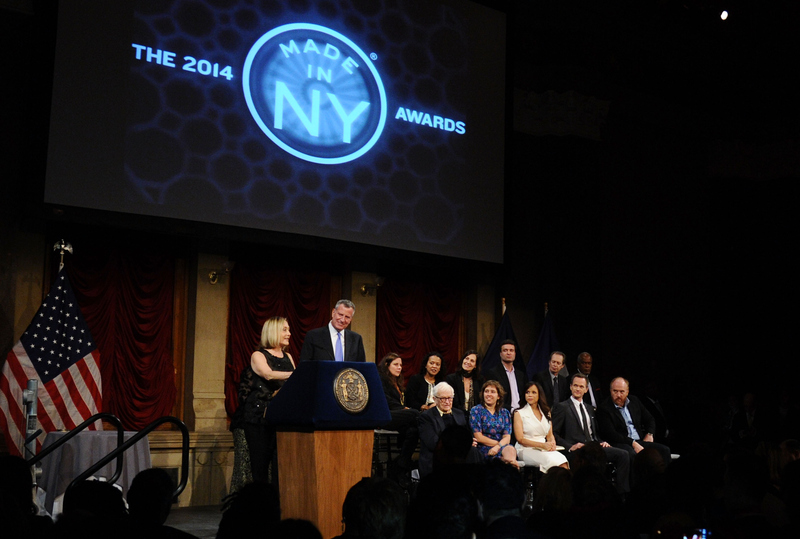 Mayor de Blasio's initial plans to expand the 2005-founded Made in New York campaign were by no means vague, including a website dedicated to New York fashion designers, and bestowals to the Fashion Manufacturing Initiative to localize clothing manufacturing and the Fashion Production Fund to finance fledgling brands. The Council of Fashion Designers of America's website additionally reported in February that $5 million would be dedicated to a Made in New York fashion marketing campaign, and a production summit would be planned to discuss fashion manufacturing. Additional plans included a $1 million scholarship program for students hoping to break into New York's design community, and a $4 million pledge to kickstart the careers of talented young designers. News of di Blasio's blueprint was met with resounding positivity by the fashion industry, but impatience is beginning to overtake excitement as the program stalls. "It is our hope and our belief that as that money gets divided there will be more specifically for FMI and I hope that sometime soon we'll know what that is. We are supported very strongly by Mayor de Blasio and Alicia Glen, his liaison on fashion. They really see the value of manufacturing," CFDA CEO Steve Kolb offered Racked. The delay in actualizing the Made in New York improvements has little to do with concerns over returns on investment. According to Capital Business Credit vice president JoBeth Tananbaum, who spoke with Fashionista about the new ventures, the gamble may prove worth the cost. "We are making exceptions for designers that may not necessarily be the most well-known or the most well-funded, but have a good product. We are taking a risk and having a partner like the City allows us to do that," Tananbaum asserted. Though the interlude between de Blasio's announcement of the pledge and its actual effectuation likely seems interminable to those seeking to start in the industry or build upon small startups, city officials show no signs of revoking the promise. With a little help from the mayor's office, 2015's Fall Fashion Week may be populated by a crop of new born and bred New Yorkers designers. The fashion community certainly can't wait to see the effects of this program, however long it takes to fully kick off.